Why do you read books? Is it to be transported into a different time and place? To learn something or sharpen a skill set via non-fiction? Mindless entertainment? A bit of titillation a la Erotica? Or are you one of the new masses, who don’t read books at all? I read all the time. Often other people’s manuscripts, as I’m editing those, but I squeeze in great novels in between. You might be like me and read eclectically, or, hone in on one genre (which is mostly the way). And even though I do read a bit of everything (heavy on the “bit”), when doing so for pleasure, give me a Literary novel any day. When I talk to folks about reading (which of course I do anywhere and any time, especially when I see someone with a book in her lap), they often say they devour this author, or that genre. And it doesn’t take long to ferret out that’s pretty much all they read. We’re drawn to the things we love, no? And so many people tell me they don’t read Literary because it’s too high brow. Too difficult to wade through. Or just plain not entertaining enough. This puzzles me. I must confess, although I try—truly I do!—to understand this criticism, I just don’t see it. Because a great novel, well written, by a writer at the top of her game, includes all the things listed in the first paragraph. And then so much more. Before the advent of all this technology, people read. Of course, that’s been steadily dropping for a while now. According to a study by the National Endowment for the Arts, “A Decade of Arts Engagement,” in 2012, 55 percent of adults read at least one book in the previous year, which wasn’t required for work or school. Far more women than men read books and/or literature. And the age group most likely to read books and literature is the 65-74 age range. Whether they have more time to read, or grew up reading and never quit, well, that’s up in the air. Many recent studies have shown the benefits of reading fiction. And these are meaningful reasons. "People who read more fiction were better at empathy and understanding others." And this effect is especially prevalent with Literary Fiction. I’ve thought that all my life. But it’s always nice to have studies to back it up. Isn’t that in itself enough to encourage everyone to read more? Couldn’t we all, especially in this tumultuous day and time, use a little more understanding and empathy? And it’s a factor in why I love Lit Fic. Understanding—truly understanding—what makes other folks tick is a fascination of mine. It has changed the way I see the world, absolutely for the better. When you glimpse under the veil of the “other” in your midst, he isn’t so other after all . . . I talk about books I love often, and have done so via these posts as well. I love the literary greats of our time, love the insights they create over 400 pages, love the cadence to their voices, the characters they create. 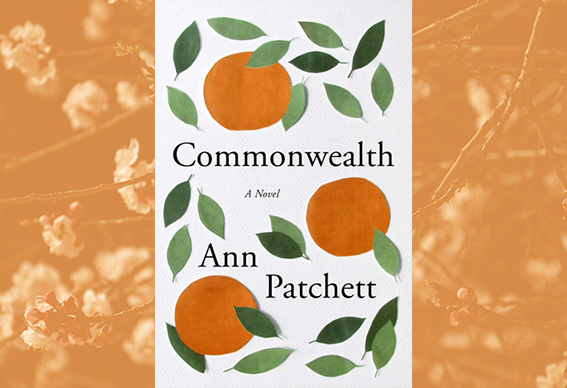 On my crazy one-day trip to Albuquerque, I picked up Ann Patchett’s newest, Commonwealth. I do a lot of reading for pleasure on planes. Now, Patchett isn’t a barely known writer, as I often write about, but a NY Times bestselling author, and this one hit #1 as well. What she is, however, is a brilliant author at the very top of her game. The prose is exquisite, equal parts poignancy and humor. The weaving of the storyline, back and forth, executed with such style and grace. The family secret—one of collaboration by the kids of the blended household—is horrible indeed. But that’s not what you’re left with. Rather, what sings through these pages is how we bond, with whom we bond, and an understanding of why we do so, in all of our flawed glory. Now, how can you pass that up? How is this not entertainment of the highest kind? Does it take an investment not only of time, but of mental acuity as well? Yep. This isn’t like watching a sitcom. With all the benefits, and all the enjoyment, it’s a full-circle win. I am one of the people that doesn’t read at all, but my husband on the other hand reads every single day. He takes the train to and from work & it’s an hour each way, so he gets in 2 hours of reading time every weekday! I just re read one true loves by Taylor Jenkins Reid and I am currently reading Younger after binging the show. Both really good! Love that, Neely! Isn’t fiction just manna from heaven! I’ve just started “Commonwealth,” Susan! Interesting coincidence. I admire Ann Patchett, but can’t wait to get my hands on the new Dennis Lehane, “Since We Fell.” The guy is sooo brilliant. I’ve had the great pleasure of meeting both! Oh, how funny, Colleen! Enjoy Commonwealth. And I love Lehane too–Since We Fell is on my list! And isn’t that such a nice benefit, Janella! We should always draw on things we love, or at least things that interest us. Writing comes across better when the writer is interested in the topic. Drawing on the things we love makes life so much more rich, doesn’t it, Heather! This really inspires me. Now I want to read some fiction. Thank you for this. It’s well worth the time, Renee! I enjoy lit fiction too! That is when I get a chance to read, which hasn’t been much lately but soon the kids will be grown and I will need things to fill my time! So glad you love lit fic, Lisa! More time to read once the kids are grown–isn’t that a great carrot! I can’t imagine a life without reading. I absolutely love to read. I read a lot to learn but I also love fiction. I have to be careful with my fiction reading though because I have no willpower when it comes to page turners and life for me stops a bit as I get involved in the world of the book. I find reading of any kind sharpens my wit, improves my writing, and widens my vocabulary. My tastes are diverse, and I do enjoy fiction though I’m often more focused on non-fiction due to my business. My college and graduate studies focused on many of the classics, which I still enjoy to this day. And there’s no finer feeling than sitting at the beach, fiction novel in hand, enjoying the summer sun, warm sand, and ocean breeze! Reading does all of that, doesn’t it, Meghan–sharpens the wit, improves the writing, and widens the vocabulary. No wonder your own writing is always so fresh! Truly interesting that Amazon’s recs for you haven’t steered you wrong! You know Amazon tracks how far you read on your Kindle? But it sounds as though that’s working well for you! I love novels and this looks like a great read. I have been reading more and to hear your reflections about this read was great. I highly recommend this one, Aida! It doesn’t disappoint! ah, I love this post! It feels like the continuation of a conversation I was chatting on phone with a dear friend with whom I like to philosophize on a regular basis (you’d be amazed at the world problems we’ve resolved!). In complete agreement with Keith Oatley, we decided that reading novels made a crucial difference in whether a person was compassionate and self-growth oriented or not. This, we decided, was especially true for folks who come from somewhat isolated countries or areas. Reading allows us to get ‘under the skin’ of someone completely outside our own experience and widens our world and perspective in a truly life-changing way. That said, I haven;t read one lately, but devoured them as a child – luckily my house was full of classics. So I’ll look for Patchett’s latest – and, yes, I’ll take that list of yours! Isn’t it just so true, Reba! Getting under someone else’s skin, living their reality, doesn’t it just fundamentally change the way we see the world–in a positive way. Enjoy Patchett! She’s brilliant. And I’ll do a post with a list! I learned early on that reading could transport me from the chaos of home, to a place where magic happened! I love to read and usually have a few books going at the same time. I enjoy a variety of writing styles and especially books that lead me into the world through the eyes of someone else. The last fiction book I read that I loved was “All the Light We Cannot See.” Prior to that, “The Yoga of Max’s Discontent” enlightened me. Susan, I’d love to have your top 3 Literary Fiction suggestions. I’ll start with Commonwealth! Oh, I love that, Candess! And perhaps I should have defined the term 🙂 Thank you for doing it for me! And didn’t you love All the Light We Cannot See! I need to do a post with a list! I usually stick to genres like historical romance and science fiction, but I do like a classic every now and then. I’m currently re-reading Anne of Green Gables, one of my childhood favorites. I love that you’re re-reading Anne of Green Gables, Dominee! Aren’t those childhood classics fun to go back to! I start and end most days with reading. I hear so much about summer reads but the winter months are slower for me; that’s when I do my best reading. I’m currently reading Ken Follet’s Century Trilogy – Fall of Giants, Winter of the World, Edge of Eternity. The last tough read I had was Jane Smiley’s “The Greenlanders,” set in the 14th century. Her book “A Thousand Acres” was my introduction to her writing. I enjoy Joseph Boyden’s books – Through Black Spruce, Three Mile Road, and Orenda. I can’t say enough about reading; you never have to be bored and you can learn about anything. Oh, Mona, I love that you read so much! And that you not only read popular fiction, but lit fic as well. I do adore Jane Smiley. You encapsulated why reading is so luscious! When I was younger I did read more fiction, Susan. I was a huge fan of Kurt Vonnegut. Over the years I seem to have moved away from fiction and into what would today be called ‘self-help’ books, as when I was younger, I remember reading books like “I’m Okay, You’re Okay” or “Psychic Discoveries Behind the Iron Curtain”. Leonard Cohen’s – Beautiful Losers and Lawrence Ferlinghetti’s poetry. I actually still have all those books from the 60’s and 70’s on my bookshelf too. Now I seem to be drawn to a wide-range of books, just not fiction, although I recently went through a period where I read many of Barbara Kingsolver’s books, as I love her writing. There are so many authors and in reflecting, it seems that I go through different periods in my life and just follow my curiosity to the books I am being led to. And I’ve always been a reader…reading since I was four, to anyone who would listen too. I can tell you’ve always been a reader, Beverley–it’s in your voice 🙂 And I also believe in reading what we’re led to! Isn’t reading on the beach the best, Kristen! I’m just glad you’re reading! So funny you spotlighted that book. I tried to start that one and couldn’t get into it. My home is filled with books. Fiction and non-fiction and I’ve read it all – except Commonwealth. I’ll have to try again! I’ve always given books for gifts, I think they’re the most wonderful gifts for children and adults. Thanks for a great post – and inspiration to try again. Oh, I love that you read so much, Cathy! And I’m bowing at your feet that you give books as gifts! Thank you, thank you, thank you! I do love to read. It came about in my adult life and not so much when younger. These days I am all over stories of motivation, overcoming obstacles, mind-body-spirit related. I appreciate the comments on how reading more fiction increases out empathy and understanding – it has certainly been that way for me too. And there are a LOT of stories like that out there, Teresa! Glad you’re enjoying them! I’ve actually started that list and it’s getting out of control. Lol. But I’ll post it soon! I love to read lit fiction too. It’s my favorite and I’m a voracious reader. Recently, I went to our local library’s “friends of the library” book sale, and bought a ton of books. I’m working on a Ken Follet title I had not read before. That is such music to my ears, Jennifer! SO glad you’re reading so much lit fic!